For anyone under 30, Fury Road will likely be the first time they see a Mad Max film in a movie theater. 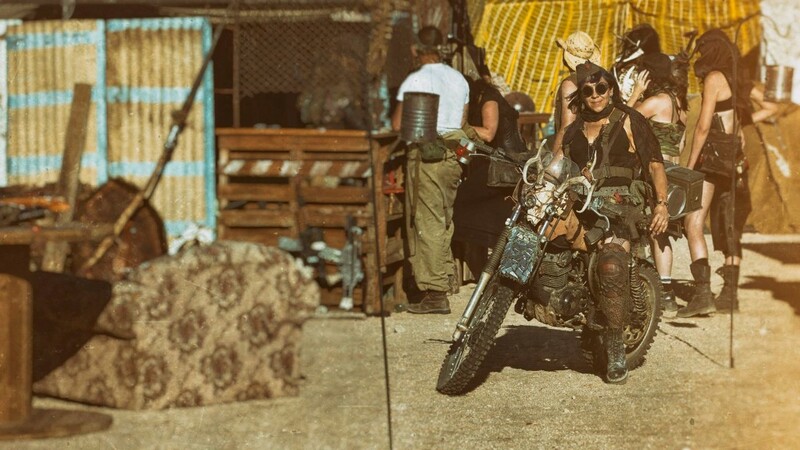 But as George Miller’s amazing new film creates a new generation of fans (and reignites the guzzoline-filled passions of the older ones), they’ll quickly find that there is already a growing fan community ready to initiate them. 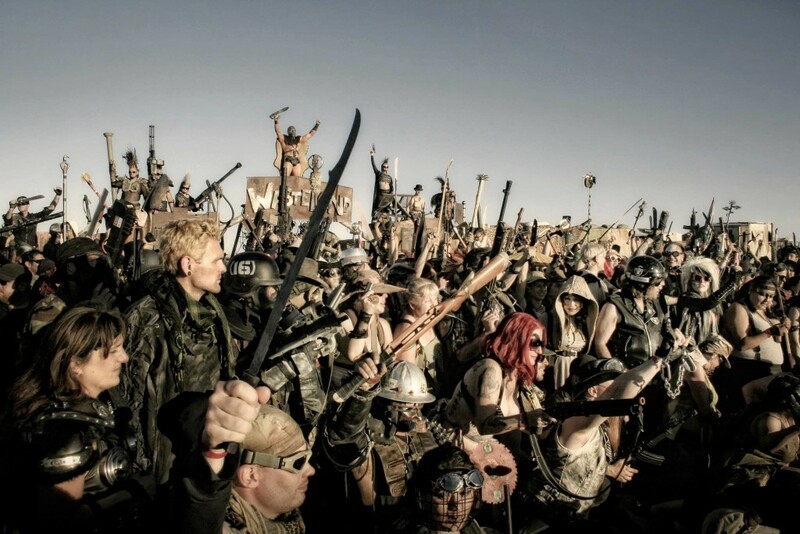 Post-apocalyptic fandom — everything from car builders, to cosplayers, to performers — has been growing steadily in the last decade, even before Fury Road was on the horizon. And at the center of that global fan community is a single event: Wasteland Weekend. The four-day post-apocalyptic party in California’s Mojave desert began in 2010 and has seen steady growth each year. 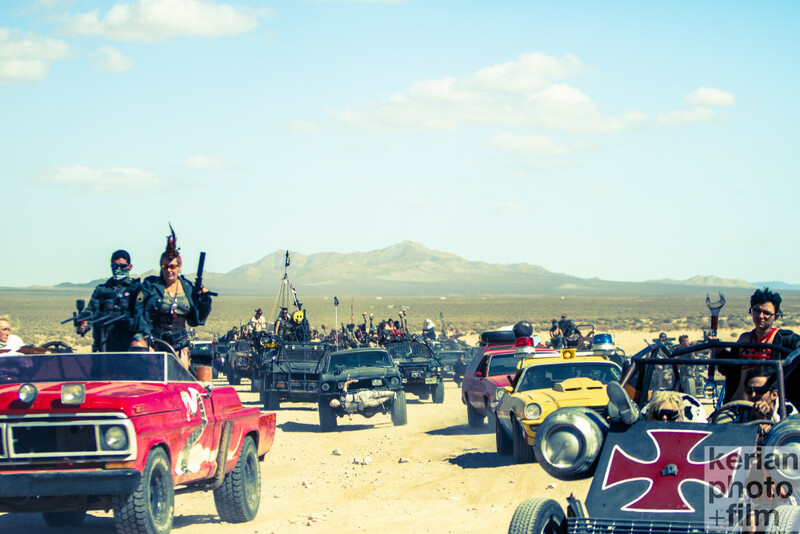 While it embraces many influences (video games like Fallout, films like Book Of Eli, even 80s dystopian music videos), the heart of the gathering has always been the original Mad Max trilogy. And now, with the long-awaited Fury Road finally exploding into cinemas, Wasteland Weekend is poised to embrace the new film and evolve. “We’ve actually been prepping for Fury Road’s release and its effect on our event, since 2010,” says the event’s director and co-founder Jared Butler.“ For our first gathering, George Miller and his crew sent us a sneak peek video from their pre-production in Australia, featuring the first glimpse of the Gigahorse (the monster car driven by the film’s villain Immortan Joe). 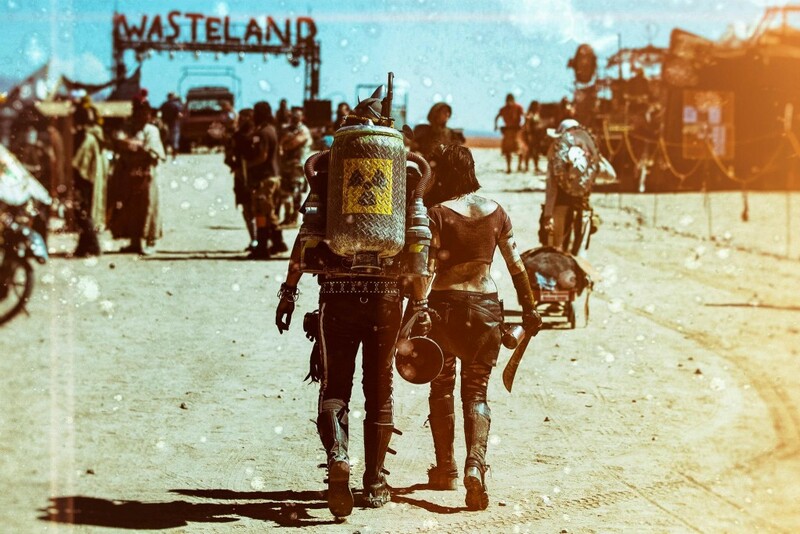 Since then, we’ve been waiting and hoping that Fury Road would bring something new to energize the world of post-apocalyptic pop culture.” Not that the genre needed much of a boost; post-apocalyptic films, television, games, and comics have been booming for the last decade. But Fury Road comes from the mind of George Miller, making it the gold standard for most fans of all things dystopian. “He set the standard in the genre for 30 years. Now, he just came in with a whole new vision that will set the standard for the NEXT 30 years,” says Butler. In keeping with the automotive themes in Fury Road, one of the clearest displays of all of this repurposed rust is in the vehicles that are brought out to the event. 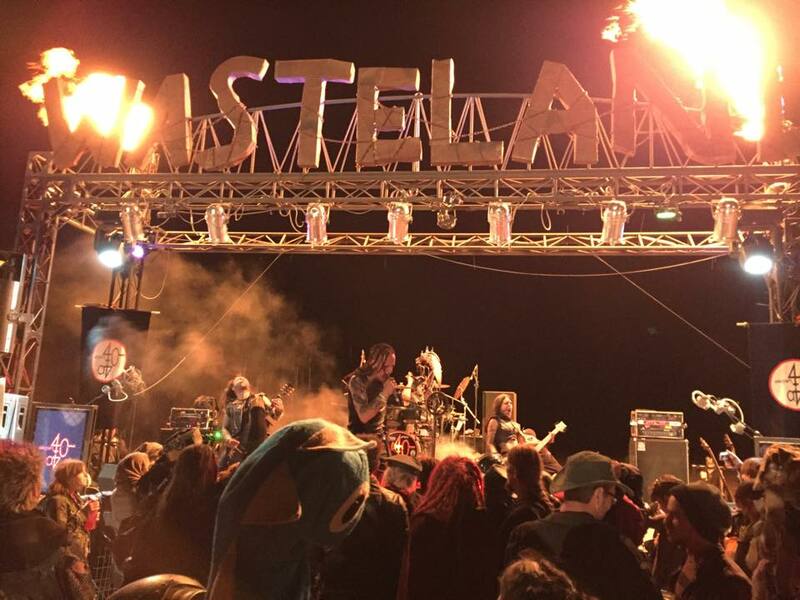 Last year’s Wasteland Weekend featured over 100 customized, fan-built Mad Max-style cars and motorcycles, driven out from all over the continent, some owners convoying thousands of miles to show off their creations in the temporary desert city. And this year, they expect even more. 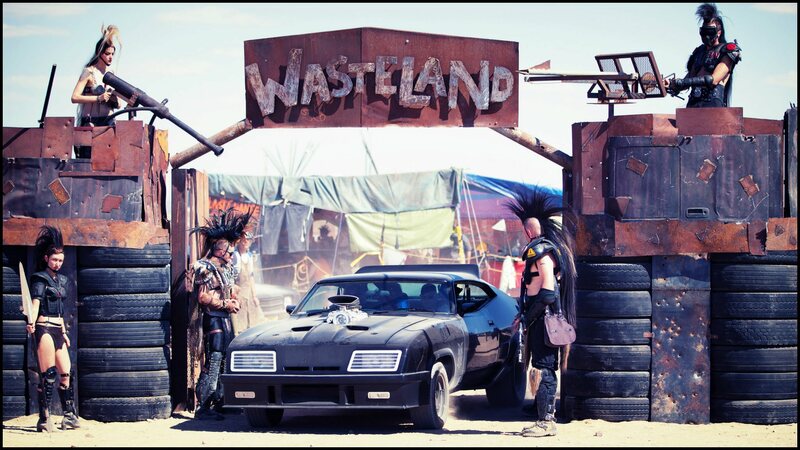 “You don’t need to bring a themed car to enjoy Wasteland Weekend,” points out Butler, “but everyone who comes without one seems to add building a Mad Max car to their bucket list by the time the weekend is done.” After all, Wasteland Weekend has multiple activities day and night, from archery contests, to fire performers, to bounty hunting games, to a full lineup of live bands, but the Wasteland car cruises are always a highlight. And living “inside the movie” is the whole goal of Wasteland Weekend. 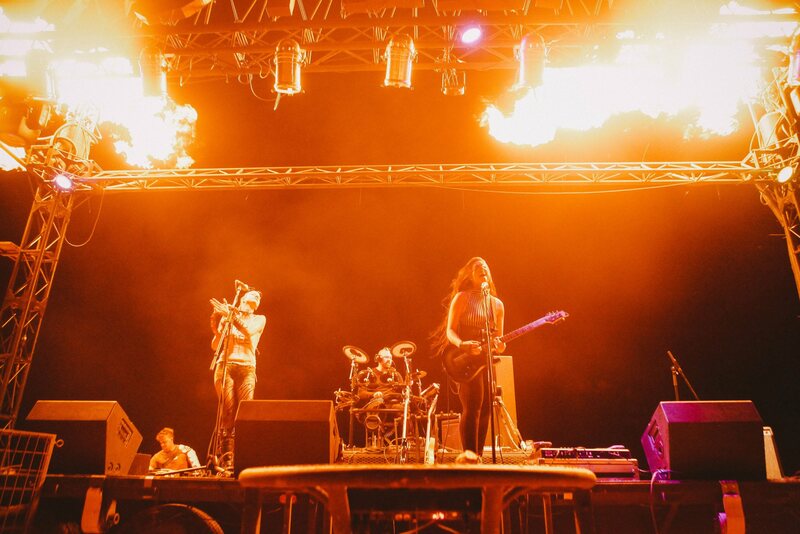 Unlike some other fan celebrations or desert music festivals, Wasteland requires that ALL attendees wear some kind of post-apocalyptic outfit for the duration of the event, an edict that even extends to performing musicians and visiting media. Full immersion is the goal. “We’ve been thinking of some new slogans this year,” says Butler. “Love Fury Road? 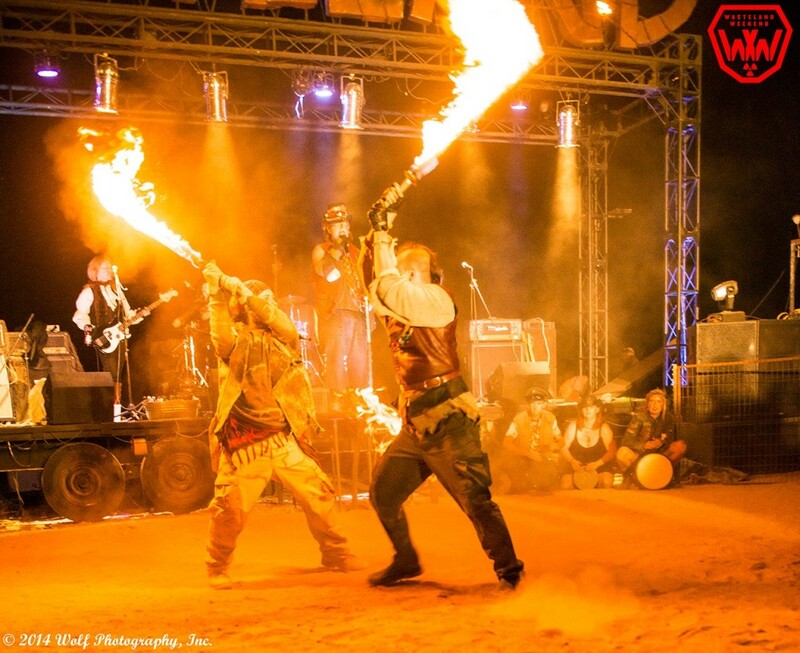 Come out and LIVE Fury Road!” “Be one of the mad!” adds Chilson. Many photos and video for media available by request.